Ready to take a trip with us? 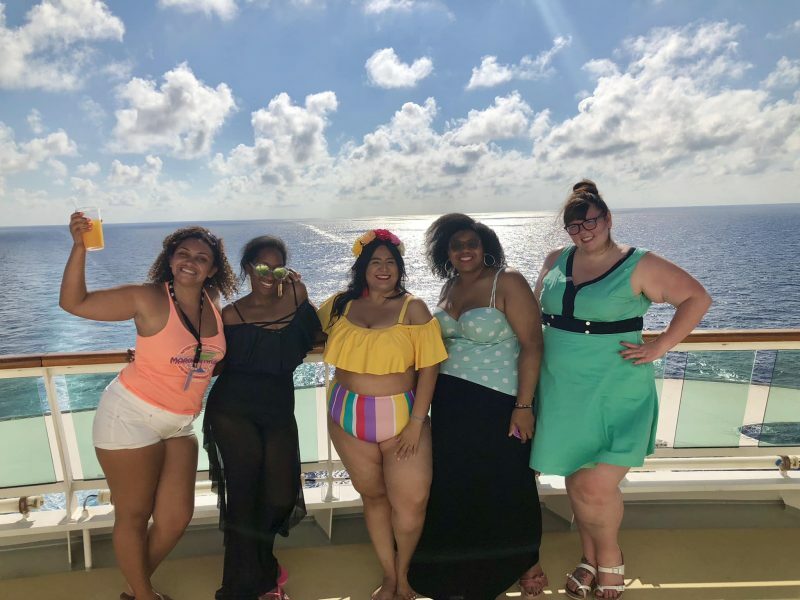 Join us for the 2019 TCF Cruise with the queens of travel, The Travel Divas aboard the majestic Carnival Magic! Save the date October 6th and book your trip NOW! Hey Girl Hey!! Happy New Year! We are so excited about the new year and new experiences for the TCF brand. Guess who’s back for another adventure and the ultimate girls trip? It’s time mark your calendars and save the date for the 2019 TCFCruise, October 6 – 12, 2019! Last year we set sail on the Royal Caribbean Brilliance of the Sea for the Western Caribbean voyage to Cozumel Mexico. Check out the time we had last year in our recap, of the first TCFCruise. And guess what? We are geeked to announce the details for our 2019 TCFCruise! Join us on Our 2019 TCFCruise! This time we are taking over the uber fancy Carnival Magic for a 6-night, 7-day cruise to the Eastern Caribbean! And with the help of the female powerhouse travel company, The Travel Divas, this year just leveled up! 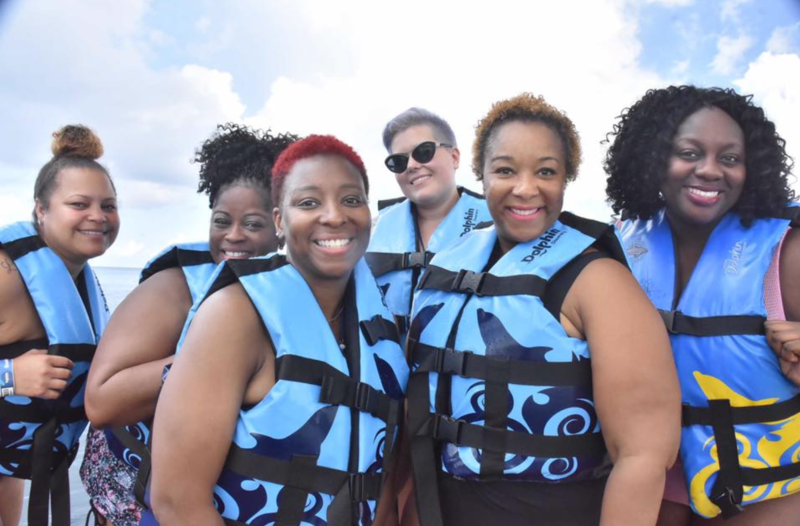 That’s right the award-winning and premier travel company, The Travel Divas, is powering the 2019 TCF Cruise! 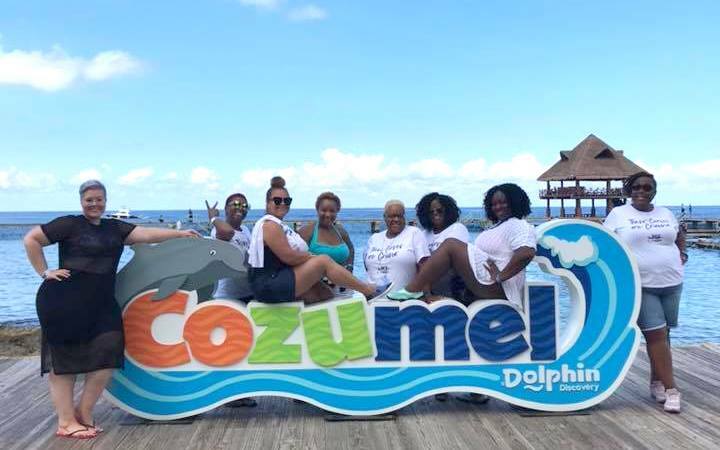 Specializing in group travel management, the Travel Divas has over 12,000 happy travelers, 305 trips in over 25 countries, they carry a world of experience since their first trip over ten years ago. To have this uber experienced and fellow plus size business owner help coordinate our trip is so exciting! We cannot wait to host you again. And if you missed out, here’s your chance to have in on the fun! With the goal of creating the perfect girls trip, the TCF family is so pumped to get on the boat with the Travel Divas and have a blast! So tell us, are you ready for the 2019 TCFCruise? Check out this ship itinerary and remember to save the date! The fun starts October 6th! 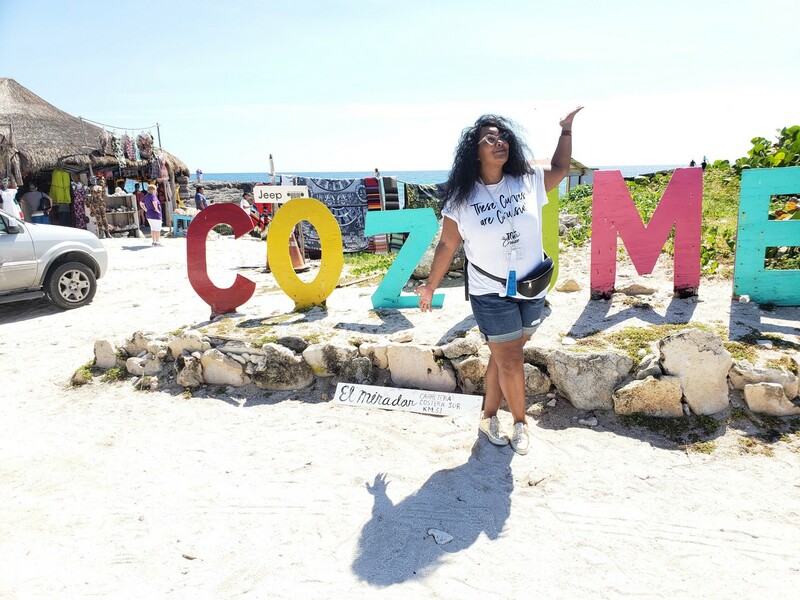 The TCFCruise Powered by The Travel Divas, will start it’s 6 Day Carnival Cruise aboard the Carnival Magic departing October 6 – 12, 2019 from the beautiful beaches of Ft. Lauderdale, FL headed to the Eastern Caribbean. First stop? We dock at Half Moon Cay in The Bahamas, then we sail over to Grand Turk, with one last stop in the Amber Coves of the Dominican Republic, before heading back to the US! But wait! There’s more, now what will a TCF Event be without some extra events and perks just for our plus size cruisers? This package also includes All meals and non-carbonated drinks, a meet and greet kick-off party, dinner party, cocktail soiree with The Curvy Fashionista, Marie and an exclusive event swag! All of the details are broken down on the Travel Divas Website! Isn’t all of this exciting? Ready to get join us for some adventure and good times? Learn more, and Make Your Deposit & Register at TravelDivas.com! You can sign up now! Make your payment arrangements, choose your cabin mates, request your time off and join us for an amazing event that we know you will enjoy!